Happy New Year, everyone! It’s a lazy New Year’s Day, and I wanted to put together a light snack. The first few times I made this was way back in 2012, when I was still actively involved in the Repertory Theater Club (RTC). 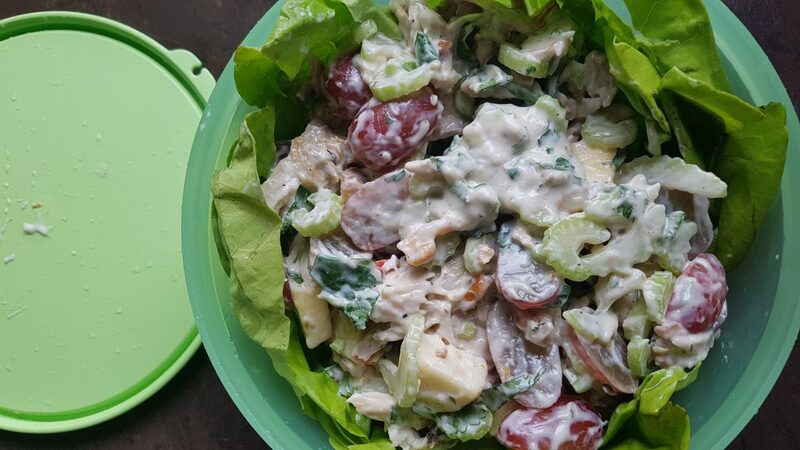 I made this for a post-rehearsal gathering with the RTC gang, and it turned out to be one of those salads that my guests surprisingly liked and actually finished. 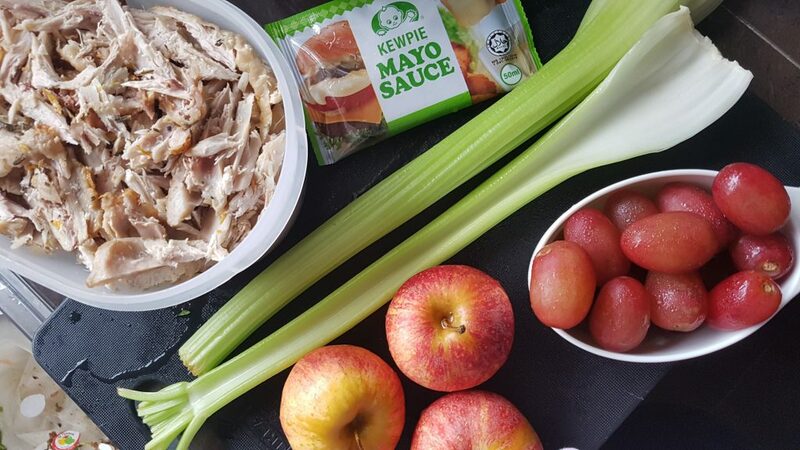 I used chicken back then, but since we had our GobbleFest recently, I decided to make this in its original intended form, using our leftover turkey. I’ve also included my notes in case you don’t have any turkey on hand. Try it out! Based on the recipe on Food Network, with my own twists. 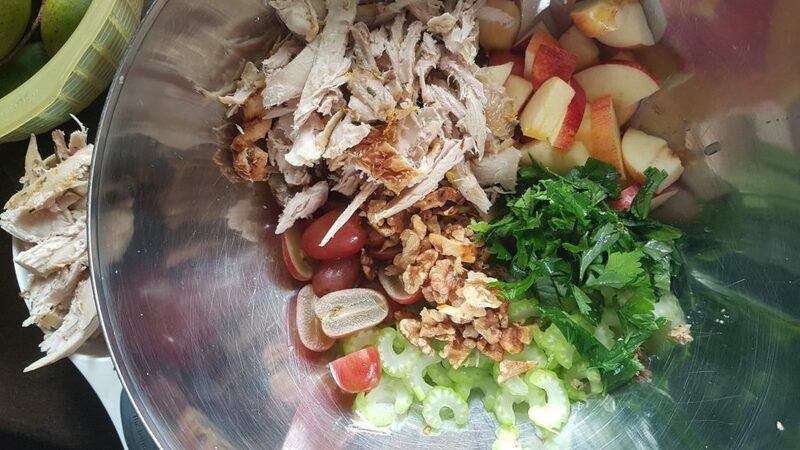 In a large bowl, gently toss the turkey, celery, celery leaves, apple, grapes, and walnuts until combined. 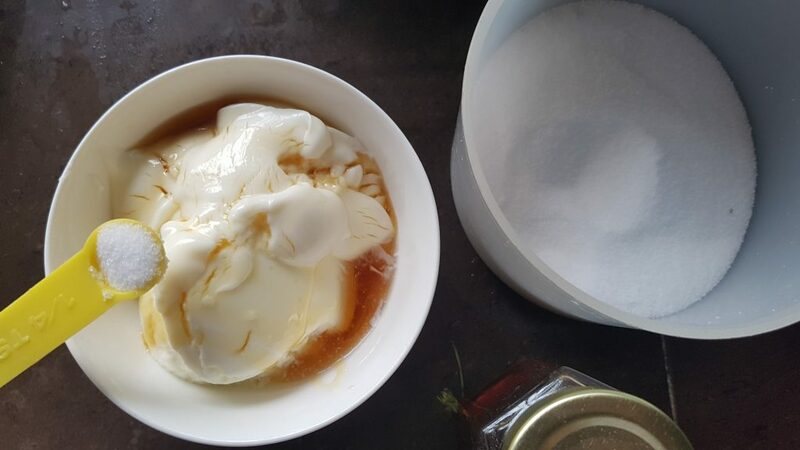 In a small bowl, whisk together the yogurt, mayonnaise, honey, and 1/4 teaspoon salt (if needed) until well combined. 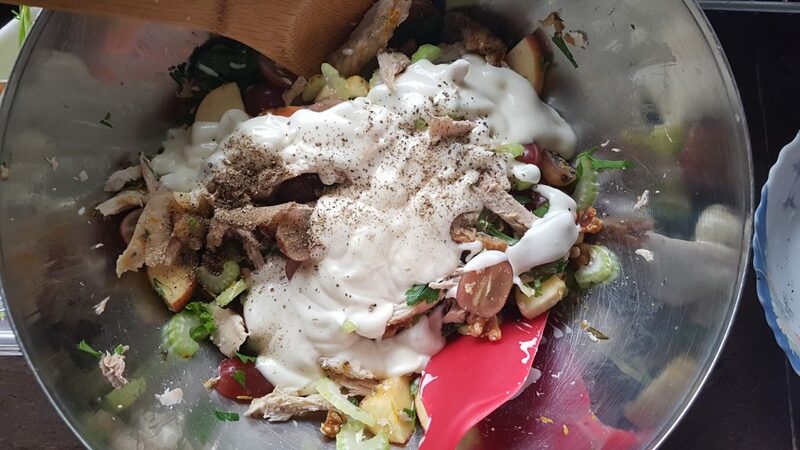 Add the remaining dressing to the turkey mixture, season with salt and pepper, and toss gently to evenly dress the salad. 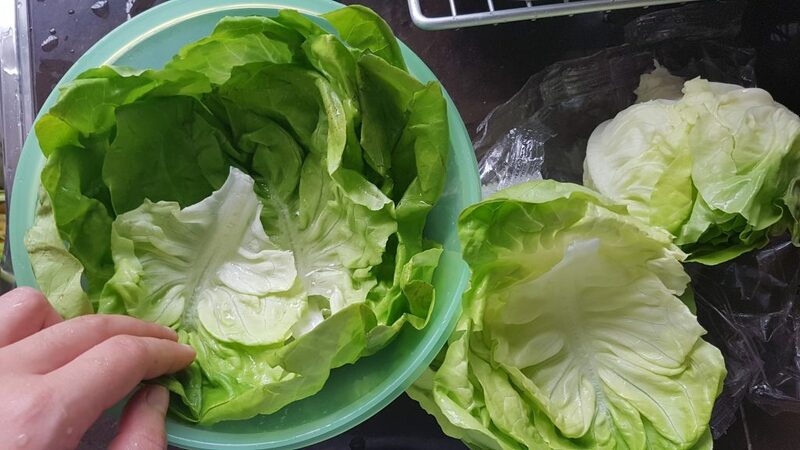 To serve, line the serving platter or bowl with the lettuce leaves. Top with the dressed salad, garnish with celery leaves and serve immediately.